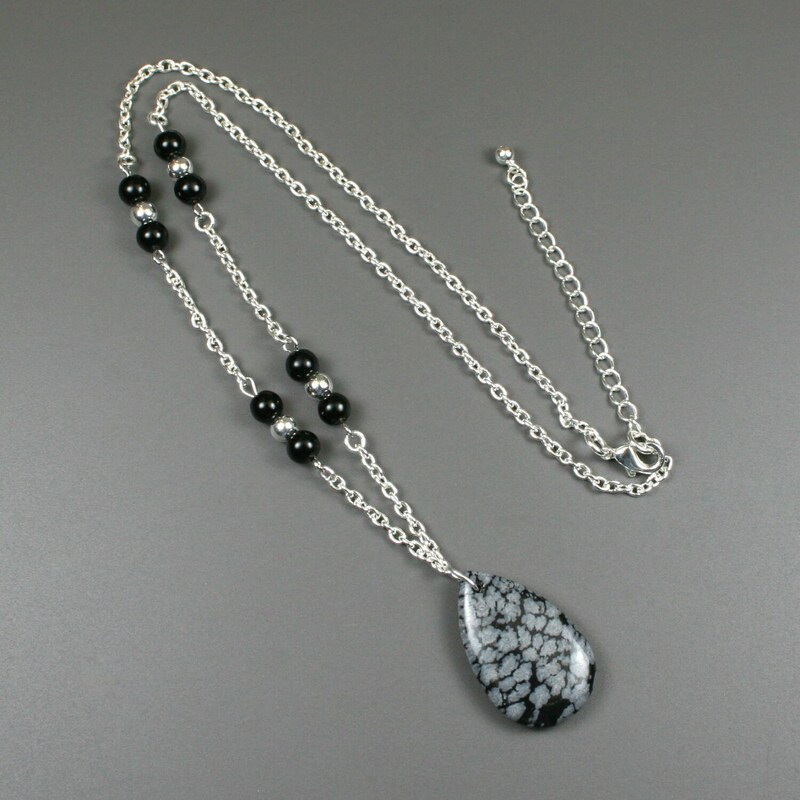 This pendant is made from a snowflake obsidian teardrop pendant (30x19mm) attached to a silver plated chain decorated with sets of round obsidian (6mm) beads and large round silver plated beads (5mm). The necklace is approximately 20 inches long and closes with a silver plated lobster clasp with a 2 inch extender chain. 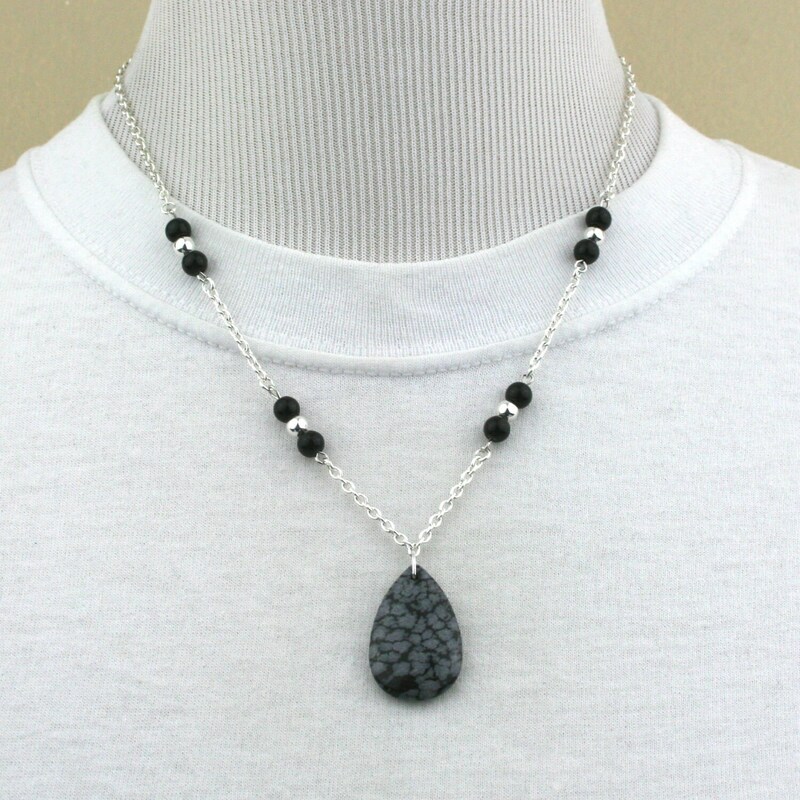 The necklace comes with matching drop earrings made from smaller snowflake obsidian stone teardrops (20x13mm) dangling from silver plated ear wires. The bottom of the earrings hangs approximately 34mm from the top of the ear wires, and they come with clear rubber (optional) backings to prevent accidental loss (see fourth image). 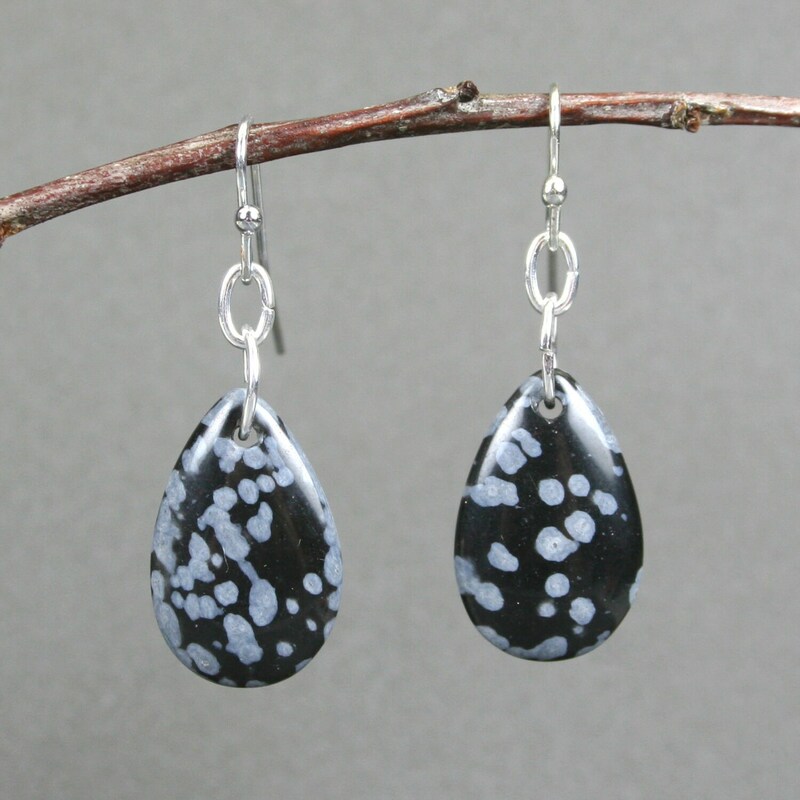 Snowflake obsidian is a naturally occurring black gemstone with white snowflake-like inclusions that are formed by internal crystallites as lava quickly cooled. Patterns vary from specimen to specimen, so the set you receive may vary from the ones shown. 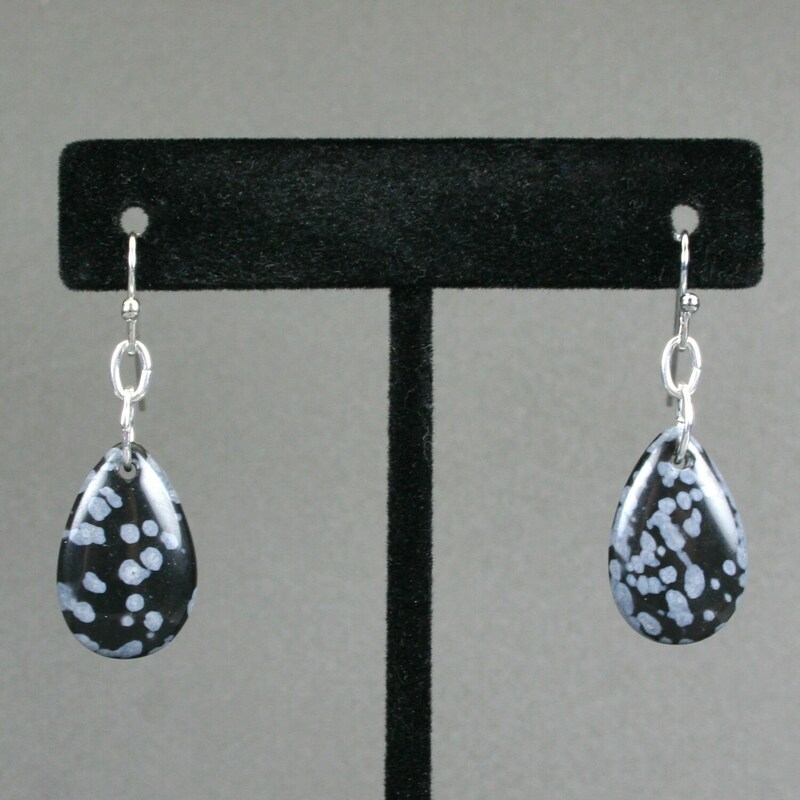 Snowflake obsidian is known for promoting balance, centering, and support. 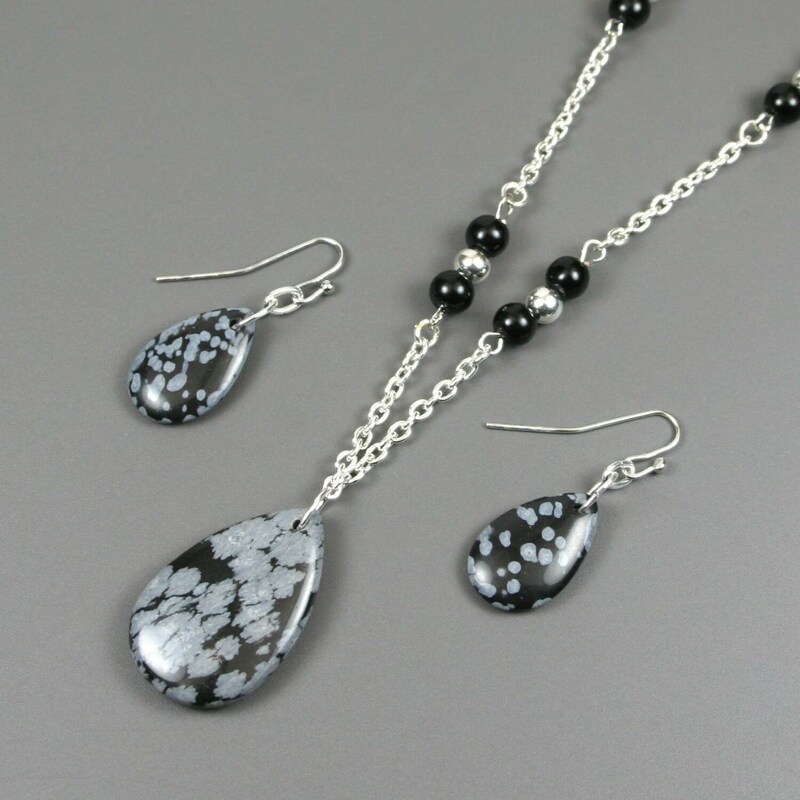 Beautiful necklace and earring set. Even more lovely than the photo. The the stones in the pendant and earrings are of excellent quality and the workmanship is excellent. Shipping was quick. I would highly recommend.